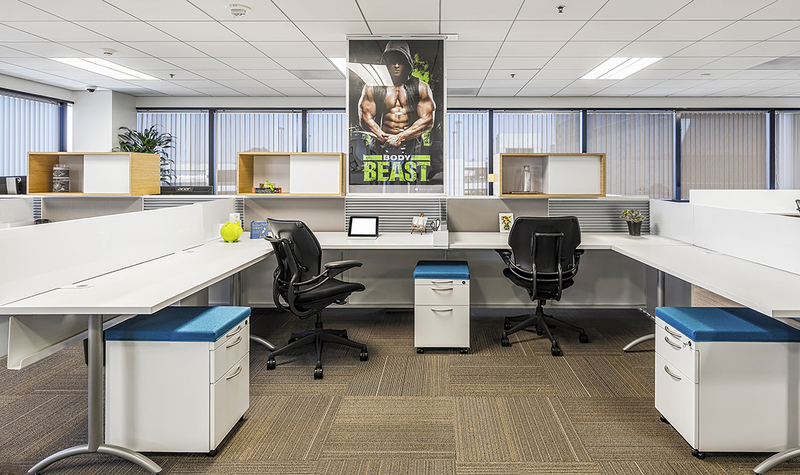 Beachbody, known worldwide for its successful P90X home fitness program, engaged Kamus + Keller to create a dynamic, open workspace with unique functional areas. 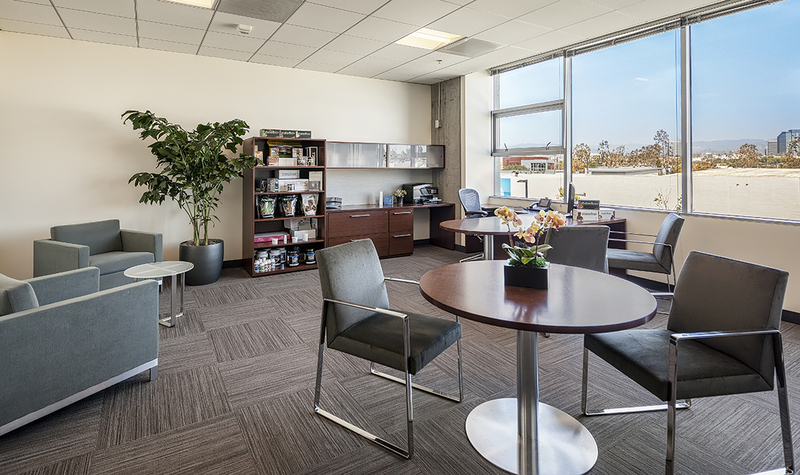 Located on the 4th floor of a multi-tenant building, there were several design challenges, including a tight project schedule and limited budget, which required careful consideration. 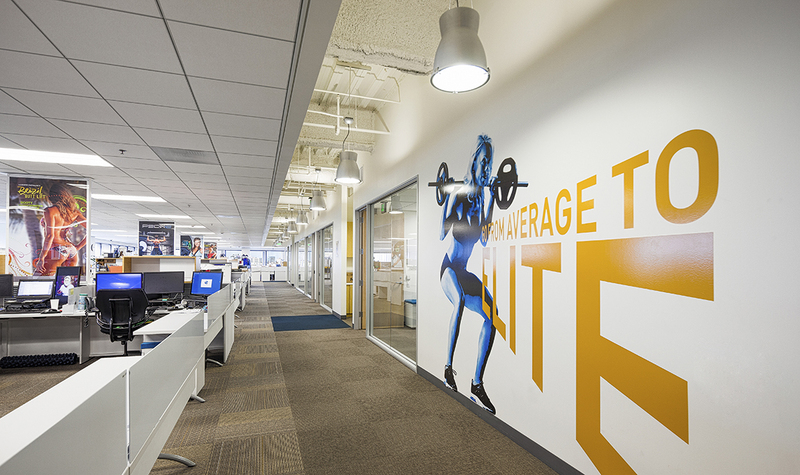 The Beachbody laboratory is a central research and testing facility used in the development of their nutritional supplements and programs. 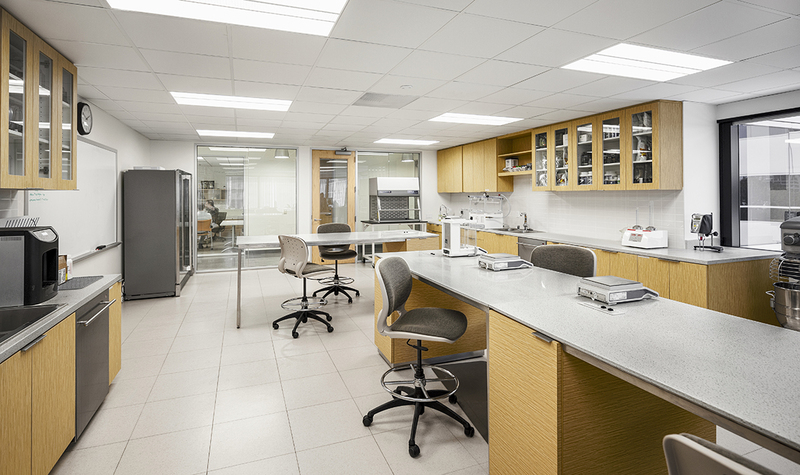 As such, the team required a space suitable to accommodate specialized equipment, lighting, and temperature control to achieve an optimal product testing and development environment. 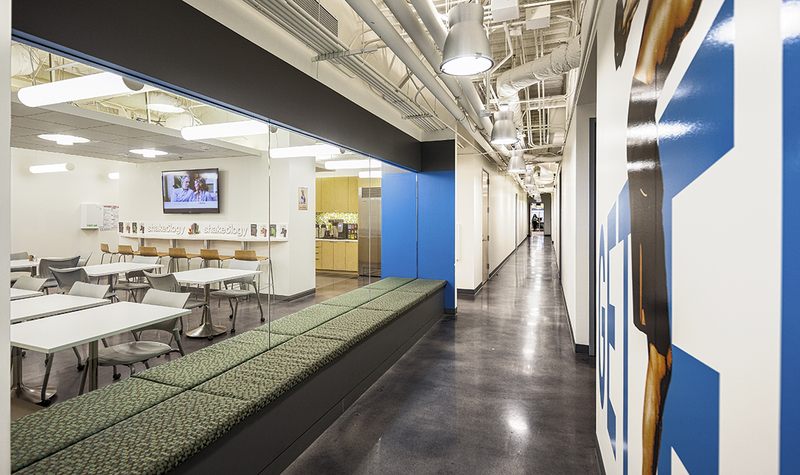 Additionally, Beachbody desired a fully functional gym for their employees’ use. 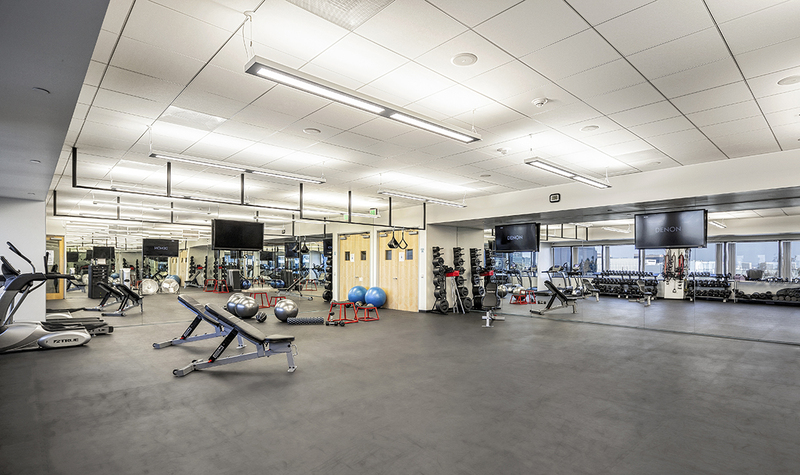 Due to the acoustical limitations in place within the building, it was necessary to develop the gym space with maximum sound absorption without compromising on functionality. 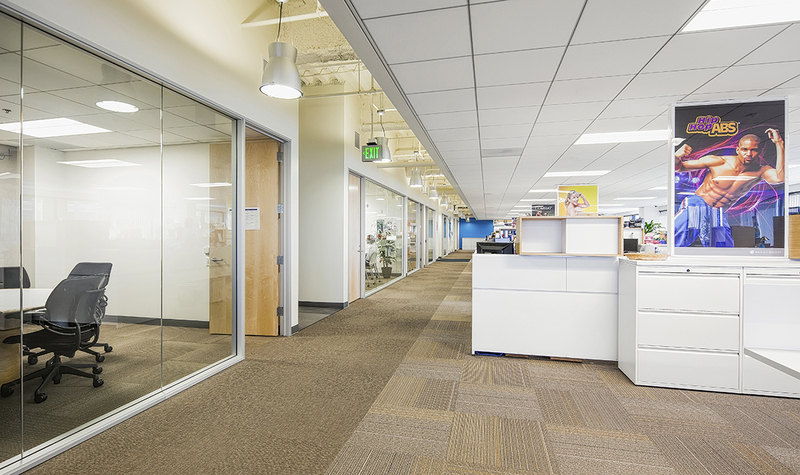 To create a sense of community and to foster communication among departments, Kamus + Keller designed an open-plan workspace to maximize natural light. 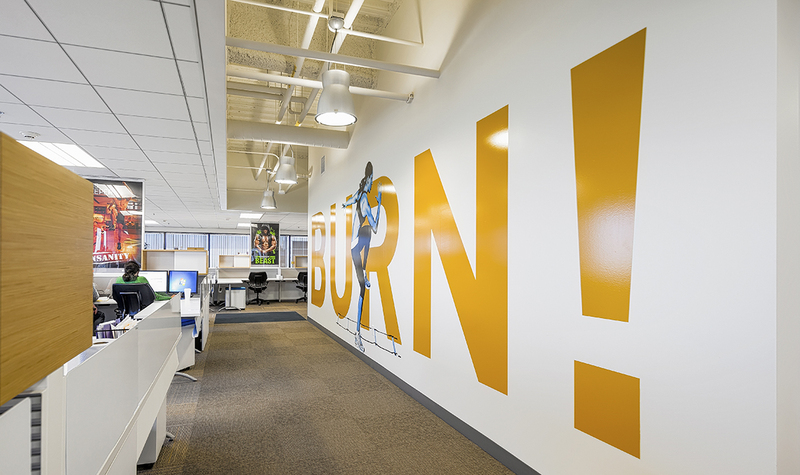 Supergraphics were installed throughout the work areas to reinforce Beachbody branding and bring a sense of unity to the space.